An FBI affidavit alleges that Oakland union official Dan Rush took hundreds of thousands of dollars in payoffs from medical cannabis industry members. The FBI's Public Corruption and Civil Rights Squad has filed a bombshell complaint against a leading figure in the California marijuana legalization movement. 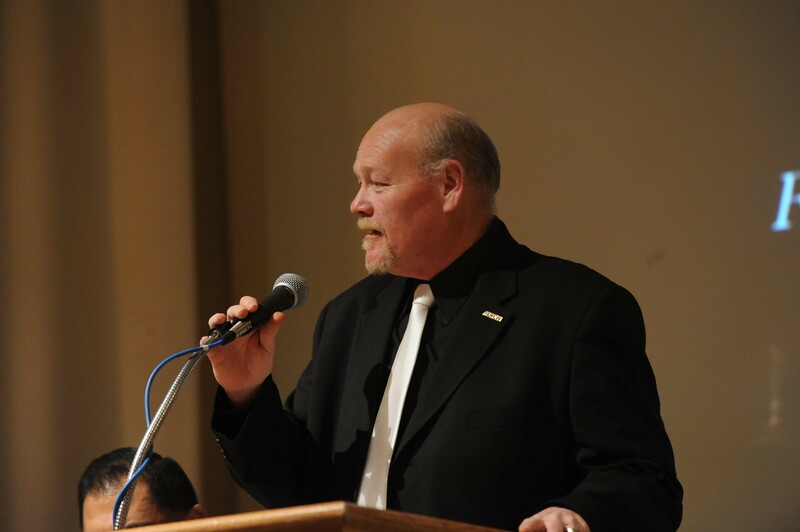 Ex-United Food and Commercial Workers Union organizer Dan Rush of Oakland could face federal charges for allegedly taking bribes and kickbacks, and undermining unionization efforts. According to the unsealed affidavit, Rush took a bunch of money from members of the pot industry, including prominent figures in Oakland, and when he couldn’t pay it back, he started selling union endorsements and methods to subvert unionization. 1. A cannabis union leader, Dan Rush faces serious federal charges of bribery from 2010 to 2014. 2. The complaint alleges Rush took more than $600,000 in cash and gifts from industry operators. 4. Rush got involved with Martin Kaufman — who operates dispensaries. Kaufman loaned Rush $600,000. Kaufman associated with John Wilcox on AgraMed, the failed plan to do a legal mega-grow in Oakland. Kaufman was in construction and helped build dispensaries. He also co-runs BLUM Oakland with his wife and Derek Peterson. Since 2013, Kaufman has been helping the feds on a voluntary basis and is not to be prosecuted, according to the affidavit. 5. Rush was associated with lawyer Marc Terbeek, a real estate and worker’s compensation attorney in Oakland. Terbeek represents dispensary operators. 6. The FBI and IRS raided Terbeek’s office in January 2015 and since then he has been cooperating with investigators. 7. Carl Anderson had an Oakland pot club until 2005, and wanted a new permit in 2010. Anderson tapped Rush and Terbeek with help with the application. Andersen is also cooperating with the FBI. 8. The feds got witnesses to record conversations with Rush and Terbeek. 9. The feds are saying dispensary managers essentially paid union organizers. That’s illegal because it deprives potential union workers of unionization or honest services. 11. Rush allegedly demanded a secret interest in AMCD, using Kaufman as a proxy. 12. According to the complaint, Kaufman also coughed up $500,000 in cash to Rush in the form of a loan at Terbeek's office. Kaufman said the money came from his share of medical marijuana operations. (Apparently Kaufman was looking to reinvest.) So he loaned Rush $500,000 to fix up an Oakland property to become a pot club. 13. Rush paid the interest on his loan from Kaufman in the form of faked “consultancy fees” to Kaufman of $3,000 per month. 14. Terbeek took the Kaufman money to retire some of Rush’s other loans, which had used Rush’s home as collateral. 15. Kaufman coughed up another $100,000 in loans to Rush, bringing the total due to $600,000. 16. Rush used the $100,000s to buy another house in Oakland. 17. Rush allegedly got paid kickbacks for sending Terbeek legal work since 2004. Terbeek gave Rush a credit card associated with Terbeek’s law firm and Terbeek paid it off. 18. Terbeek agreed to share legal fees derived from Terbeek’s clients seeking permits to operate dispensaries in California, Nevada, and beyond. 19. From 2010 to 2015, Rush spent $110,000 on Terbeek’s card, about $2,000 per month, for mostly personal expenses. 20. Rush paid several large Verizon Wireless bills with Terbeek’s card, mainly because Rush was paying the phone bills of his Hell’s Angels Motorcycle Club associates. 22. In January 2014, Kaufman and Peterson learned they woudn’t be getting their money back from Rush. Instead, Rush and Terbeek offered to pay a lower amount, proposed Kaufman write off the loan as a loss, and also promised to help Kaufman get the union stamp of approval for Kaufman’s proposed Nevada dispensaries, while other competitors would not. “The write off of [Kaufman’s loan to RUSH] would go a long way towards doors slamming, slamming, slamming for other people,” Terbeek said, according to the complaint. 25. Rush advised Peterson on how to commit unfair labor practices. 26) In April 2014, Terbeek and Peterson met in Las Vegas, and Terbeek essentially threatened Kaufman/Peterson if they tried to sue Rush for their money back. Calls to Rush, as well as the UFCW have not been returned. The big question now is: who will Rush flip on? Stay tuned. We'll have more as we get it. "To be clear, Mr. Rush has been terminated. The UFCW holds all of its employees to the highest standards, and we expect that they perform their responsibilities with integrity and honor. What Mr. Rush has been accused of is not only shocking to us, it is a betrayal for what we at the UFCW stand for. "After I met Mr. Rush it was apparent the he was using his position as an executive with the UFCW to personally monetize his activities. ... Once we became aware of Mr. Rush's misconduct we consulted with the Department of Justice and under the guidance and direction of the FBI we assisted in their investigation. In partnership with the FBI we were able to use money misappropriated from Mr. Kaufmans trust as the subject in a corruption sting. We have worked hard to bring legitimacy to our often misunderstood sector and we hope that the activities of one individual don't become representative of the industry in whole."